The majestic African lion, or panthera leo, once lived throughout the African continent. In the early 21st century, these lions are only found in the wild in limited areas. According to Defenders of Wildlife, the African lion population has been reduced by half since the early 1950s to a number of under 21,000 in all of Africa, as of the time of publication. The African lion, often referred to as the king of the jungle, is found in the wild today only in limited areas: the south Sahara desert and parts of southern and eastern Africa. The lions travel in prides consisting of 12 to 15 lions, mostly females and their offspring. Typically no more than two to three adult males live with a pride at any one time. 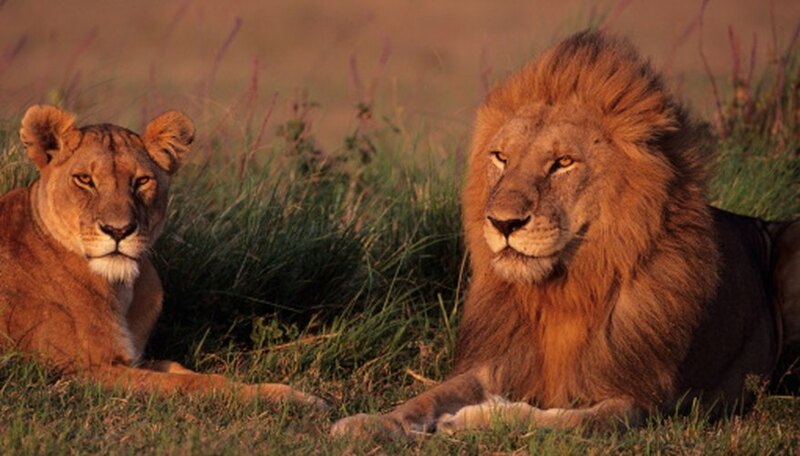 Young adult males earn their place in the pride by ousting an older male. Lion cubs are born in litters of three to four; they stay with their mothers for their first two years. In the wild, African lions live in the savannah, scrub, grasslands and some wooded areas. These areas provide natural cover from predators and also for lions hunting their prey. The males patrol the pride's territory, which may be as large as 100 square miles. The adult females are responsible for the hunting; they often work in teams to outsmart faster prey. The lions are generally nocturnal, sleeping by day in the tall grasses and moving at night from site to site within their territory to find fresh prey and water. African lions are carnivorous and eat a wide variety of other African mammals, including antelopes, wildebeest and zebras. They sometimes eat smaller animals and some reptiles. They not only eat the kills made by the pride's lionesses but will also take fresh kills from hyenas and other smaller animals. Cubs struggle to get their share of the pride's kills, but do not participate in hunts themselves until they are almost a year old. Cubs and older females are particularly vulnerable to natural threats posed by hyena packs, leopards and certain jackals. According to the Red List of Threatened Species (www.IUCNRedList.org) maintained by the International Union for Conservation of Nature and Natural Resources, the African Lion is considered vulnerable, one step below endangered. The lion population is threatened by climate change, particularly disease-inducing droughts which cause both the lions and their prey to become ill. Humans are another major threat to the African Lion. 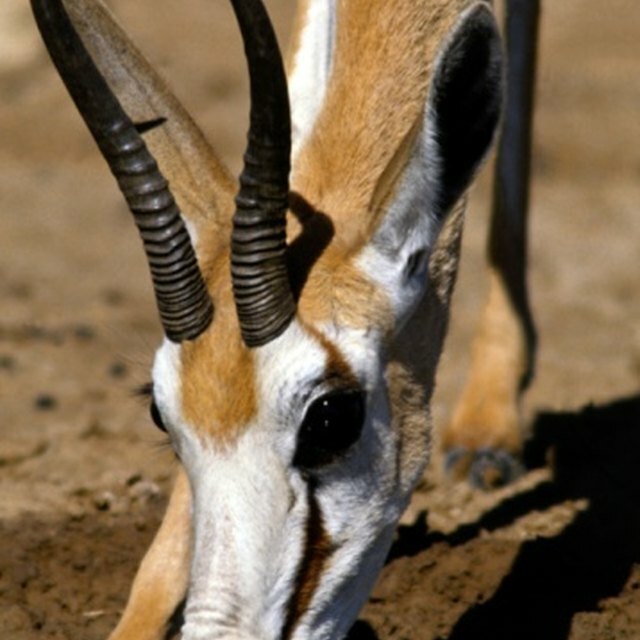 In addition to hunting, the animals have lost territory to human encroachment, forcing them into less desirable regions. Many are also poisoned by farmers seeking to protect their crops from lion attacks. WildLifeDirect: Kenyan Lions Face Extinction in 20 Years? How Do Lions Give Birth? Thompson, Molly. "The Natural Environment of African Lions." Sciencing, https://sciencing.com/natural-environment-african-lions-8680804.html. 24 April 2017.